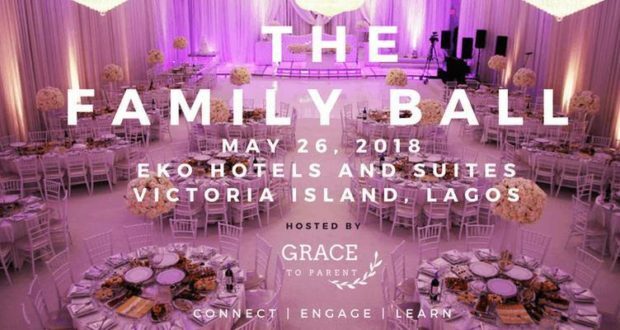 The Family Ball is the unforgettable family event of the year and is brought to you by Africa’s No 1 Positive Parenting platform Grace To Parent. Imagine an elegant wedding reception with lights and food and drinks and music and love and all the fun crowned with an amazing chairman’s speech and toasts to the couple…only there is no wedding and there is no couple, but the amazing atmosphere was created just for you and your family! Your husband and your wife and your children. Even for the single mother and her child and the single father and his blessings! You are the guest of honour and your children are your special dates! Whatever your family is made of THE FAMILY BALL IS FOR YOU! A time to connect, engage and learn with your family in the most fun and elegant setting. A judgement free place where we are all important in God’s eyes. A place we can always refer to as that moment that changed the course of our family dynamics. The Family Ball is going to be this and so much more. So, join us on Saturday 26th of May for this unforgettable event for the whole family! The Family Ball is a one of a kind black tie banquet for the entire family. It is for parents and their children (aged 6 – 15) and is focused on celebrating families, Glorifying God and Supporting communities with charitable donations. The purpose of The Family Ball is to bring families together in an intimate, fun and exciting environment to bond as a family by engaging with one another whilst learning practical skills and tips to thrive as a family. It is an opportunity to spend quality time with your child(ren) that will create memories that will last a lifetime. This is one event you cannot afford to miss!!!! Red carpet opens at 2pm for a prompt start so do endeavour to arrive on time to get the full benefit of the Ball. We really do have an exciting time planned for you! The Family Ball is aimed at children aged 6 years plus. The aim of the Ball is to encourage the bond between families whilst providing them with the necessary knowledge to thrive and we believe children under the age of 6 will struggle to grasp the concept of some of the topics we will be touching on. Please note that we are still working* on creche arrangements for children aged 5 and under. In the event that there is a creche, you will be notified, If no creche, you are welcome to bring your young children into the banquet hall with you. *The cost of a child creche place is free.